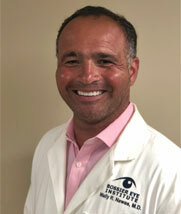 Welcome to Bossier Eye Institute! We offer an array of services in a comfortable, relaxed atmosphere. Our skilled physician and friendly staff provide the highest quality care using the most sophisticated technology available. We are dedicated to helping every patient enjoy the best possible vision. © 2019 Bossier Eye Institute and MedNet Technologies, Inc. All Rights Reserved.